William Cosgrave VC and Aghada’s Gallipoli commemoration. Commemoration of the Turkish war dead at Gallipoli on 24th April 2015. 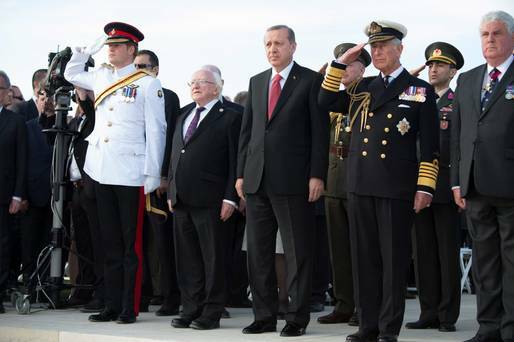 From left to right are: Prince Harry (in uniform), President Higgins of Ireland, President Erdogan of Turkey, Prince Charles (in uniform). Political correctness Irish style dates from 1922, and can be summed up in the following statement: ‘whatever you say, never say anything good about the British, or about the Irish who fought for the British – indeed it’s better to forget the latter altogether!’ Happily these men who joined the Royal Army and the Royal Navy between 1914 and 1918 are now being openly acknowledged – as they were today when President Michael D Higgins joined representatives of the Turkish, British, Australian, and New Zealand governments in the first part of the international centenary commemorations on the Gallipoli peninsula. Today they recalled the huge sacrifice of the Turkish troops who were defending their homeland. Tomorrow (Anzac Day in Australia and New Zealand) they will commemorate the Allied dead. Corporal William Cosgrove VC, 1st Battalion, Royal Munster Fusiliers. 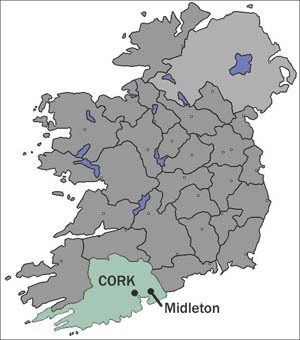 William Cosgrove was one of seven children born into a poor family in Ballynookera near the small village of Aghada on the eastern shore of Cork Harbour. William’s father, Michael Cosgrove, even journeyed to Australia in search of work (I knew there had to be an Australian connection in this tale)! Thus William and his siblings were left in the care of their mother Mary Morrissey. Mary moved to a small cottage in the townland of Peafield with her children Michael, Daniel,Ned, David, Joseph and daughter Mary Catherine and young William. All the boys, except Joseph and William, later emigrated to America. The daughter, Mary Catherine, died of tuberculosis at the age of thirteen. The old tower of St Erasmus’s church in Aghada is all that is left of a building that Cosgrove knew. The present church is a modern replacement. William Cosgrove attended National School (primary school) at Ballinrostig, but as soon as he was old enough, his mother apprenticed him to a local butcher in Whitegate called Rohan. This proved fortuitous for Mr Rohan had a contract to supply meat to the garrison at the nearby Fort Carlisle which protected the entrance to Cork Harbour. As an apprentice, William had to deliver the meat to the fort by horse and cart. What he saw of the garrison turned William Cosgrove’s mind towards a military career, and on 1 March 1909, he enlisted in the 1st Battalion of the Royal Munster Fusiliers. Strictly speaking, William was under age and shouldn’t have been admitted into the Royal Army, but his strapping build and six foot height suggested that he would pass for somebody older. Despite being an ‘Irish’ regiment, the cap badge of the Royal Munster Fusiliers displayed a Bengal Tiger. Tigers are not native to Ireland – but the emblem commemorated the fact that the regiment originated with the East India Company’s Army. In the following four years, William Cosgrove was posted to India and Burma. 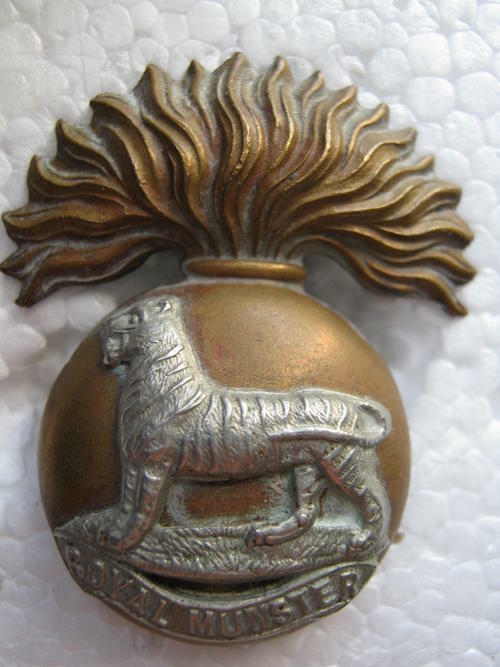 This was an appropriate posting since the Royal Munster Fusiliers had developed from the East India Company’s Army, featuring a Bengal tiger on their cap badge. However, while William’s battalion was in Rangoon in August 1914, the Great War broke out in Europe, and it changed everything. The battalion was ordered back to Europe, departing from Rangoon on 21 November and arriving in England on 10 January 1915, where it was posted to Coventry. On 13 January the British Cabinet approved a naval plan to bombard the Gallipoli Peninsula with Constantinople as the ultimate objective of the operation, thereby opening a route to send supplies to Russia. This plan was enlarged on 28th January when it was decided to include the Royal Army in the operation. 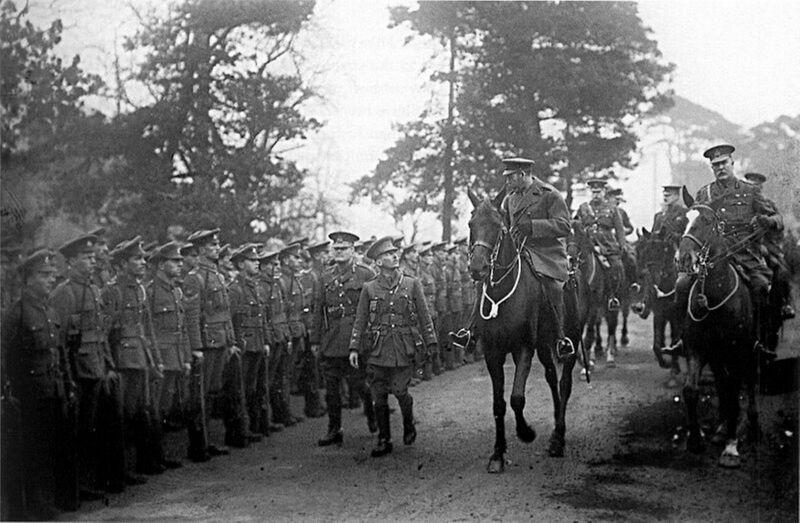 King George V inspects the 29th Division in March 1915 just before it embarked for Gallipoli. In March 1915, the 1st Munsters were assigned to the 29th Division, a new division formed from units that had been on garrison duty throughout the Empire. Among the other units assigned to the 86th Brigade of the 29th Division was the 1st Battalion of the Royal Dublin Fusiliers. The 87th Brigade included the 1st Battalion Royal Inniskilling Fusiliers, while the 88th Brigade had the 2nd Battalion The Leinster Regiment. As you can see, quite a number of Irish regiments were called up for the Gallipoli campaign – not counting the Irishmen who had enlisted in the English, Welsh and Scottish regiments. The converted collier River Clyde beached too far from the shore making a rapid advance on the beach impossible. Hundreds of men were cut down as they disembarked at V Beach. The 86th Brigade, including the 1st Munsters were assigned to attack V beach on 25 March. Some 2000 men of the Munsters, Royal Dublin and Hampshire regiments were aboard the converted collier HMS River Clyde when it beached at 6.25 am. 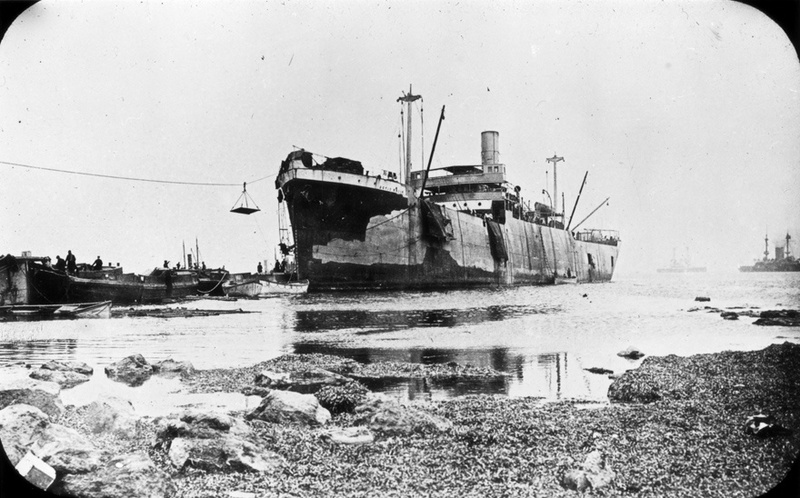 Unfortunately, ‘beached’ is the wrong word to describe what actually happened – the vessel grounded too far from the shore and the men who were burdened with 60lb packs were subject to ferocious Turkish fire as they disembarked. Of the first 200 men to enter the water to wade ashore, some 149 were killed outright and 30 were wounded.. Those troops who had come from the slaughter on the Western Front claimed that the fire on V beach was even worse than anything they had experienced from the Germans! 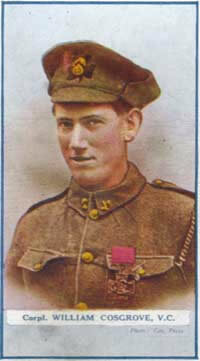 William Cosgrove, by now a corporal, was one of the men from the 1st Munsters to disembark on V beach that day. However, the savage defence left units cut up and the men of the 86th Brigade were too shocked and exhausted to do anything, so they dug in and lay down for the rest of the day. By nightfall, out of that morning’s compliment of 900 men and 28 officers of the Munsters, there were only 300 men and 6 officers alive! Cosgrove’s heroics would come on the next day, but for now he took cover with his colleagues behind a sandbank just ten yards from the shoreline. Fort Seddulbahir was a prime objective for the forces landing on V Beach and W Beach at Gallipoli. Lt Col Doughty-Wylie came ashore on the morning of the 26th to assess the situation, and gathering what men he could into ad-hoc units, he decided to launch them into an attack on a crucial Turkish strongpoint at Seddulbahir. This seems like suicide to the modern reader, but anyone who saw the movie Saving Private Ryan’would realise that getting off the beach was the key to survival when under enemy fire. By 8.00 am the first Turkish outposts had fallen, but now a problem presented itself – barbed wire. Barbed wire was a very effective barrier to attacks, holding up men who could then be mown down by machine guns. Even low fences of barbed wire presented serious obstacles. 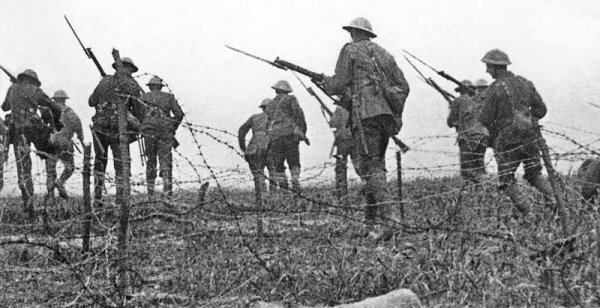 The use of barbed wire during the Great War was not simply the use of coils of wire stretching across a front. It was more systematic than that – and the Germans were particularly good at it. It’s important to recall that the Germans had been brought in to modernise and train the Turkish army, and the commander of the Turkish forces at Gallipoli was a German officer – Liman von Sanders. At Gallipoli the barbed wire was stretched across the front on tall stout posts and was so strong and full of barbs that it presented a truly effective barrier to the attacker. And the beauty of barbed wire for the defender was that a machine gun could simply fire through it and slaughter the men who’d stopped to cut it. 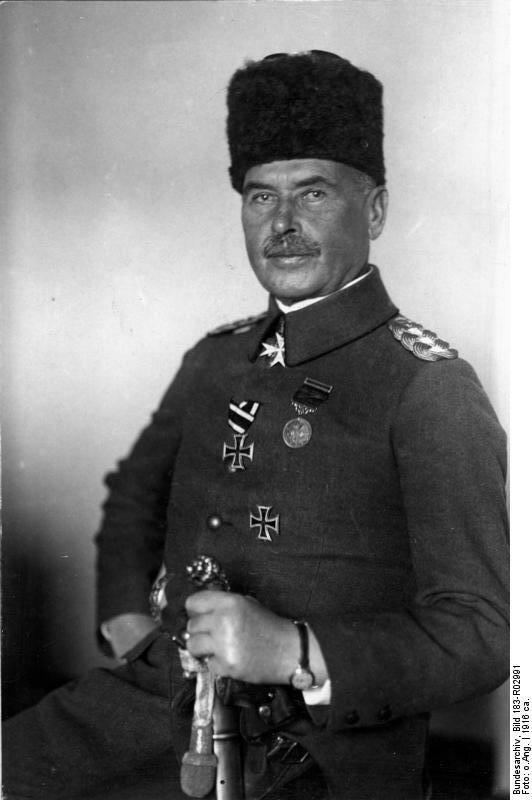 Otto Liman von Sanders, a German officer, commanded the Turkish troops at Gallipoli. He was originally assigned to train the Turks in modern warfare – and proved very good at it! Doughty-Wylie’s attack had taken most of the village of Seddulbahir but now his advance needed support to take Hill 141. Captain Stoney of the King’s Own Scottish Borderers brought his scratch unit, including Cpl William Cosgrove, into this attack. The first task they had to do when they advanced was to cut the wire – and the men were equipped with pliers to do the job. But Cosgrove discovered that the wire was so tightly strung and so strong that the pliers made no impression. Worse, tightly strung wire was deadly for it could whip back and cause an injury. An artist’s sketch of William Cosgrove’s heroic removal of the barbed wire stanchions whilst under fire. Note the tropical helmets the men are wearing. Realizing the problem Corporal Cosgrove called out to the men to wrap their arms around the stakes and pull them up. And this is what they proceeded to do, all the while under savage fire. Eventually enough barbed wire was felled to allow the attack to carry forward. Cosgrove and his men took a Turkish trench some 200 yards long by 20 yards deep and only 700 yards from the shore. At some point during this attack Cosgrove was wounded – but he didn’t realise ihow badly hurt he was until they had taken the Turkish trench. Cosgrove claimed that a machine gun had opened fire at him, with one of the bullets hitting a bbelt hook on the left side of his tunic and passing trhough his body. The bullet actually nicked his spine knocking splinters of bone of his backbone and passing out the other side of his torso to knock off his other belt hook! Cosgrove was evacuated to the military hospital in Malta, where he underwent two operations to remove the splinters from his body. Meanwhile, four days after his feat, Cosgrove’s actions were reported to his commanding officer by 2nd Lt AH Brown of the Royal Munster Fusiliers. Brown was only one of the witnesses to Cosgrove’s heroics, but his report formed the basis of the award of the Victoria Cross to the ‘Giant Munster’. William Cosgrove was convalescing in Aghada, probably in Fort Carlisle, when he learned that he was to be awarded the Victoria Cross. For most conspicuous bravery in the leading of his section with great dash during our attack from the beach to the east of Cape Helles on the Turkish positions, on April 26th 1915. 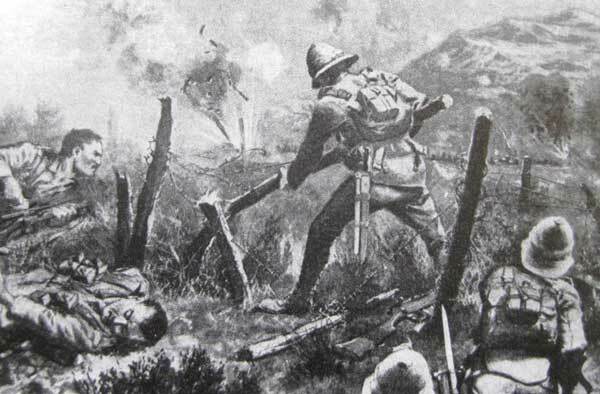 Cpl Cosgrove, on this occasion, pulled down the posts of the enemy’s high-wire entanglement single-handed, notwithstanding a terrific fire from both front and flanks, thereby greatly contributing to the successful clearing of the Heights. 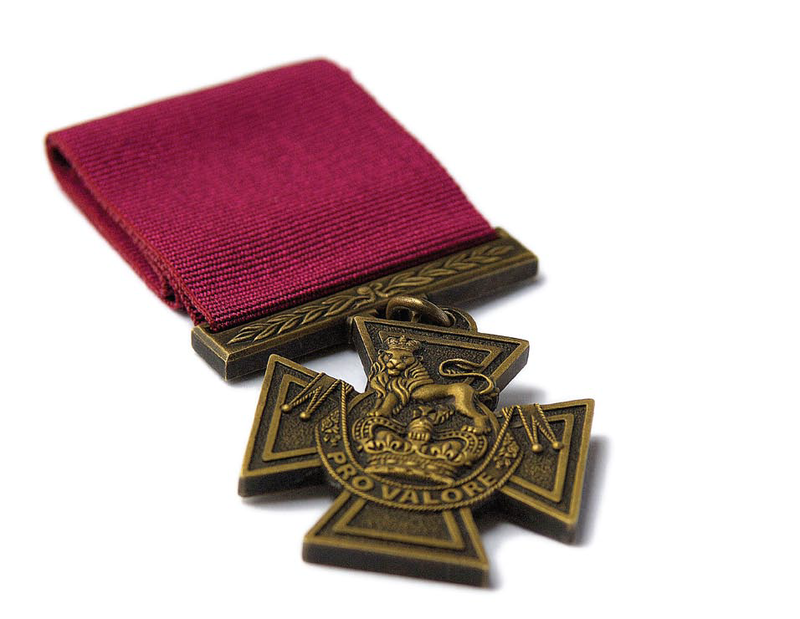 The 29th Division suffered 94,000 casualties during the Great War, Gallipoli alone accounting for 34,000 of these, and some twenty-seven of its men were awarded the Victoria Cross – hence their nickname the Incomparables. William Cosgrove continued to serve in the Royal Army for another nineteen years, transferring to the Royal Northumberland Fusiliers after the Royal Munster Fusiliers were disbanded in 1922. On retiring from the army in 1934, Cosgrove’s health deteriorated rapidly – some fragments of bone from his spine had not been detected and removed at Malta and had been slowly killing him for years! 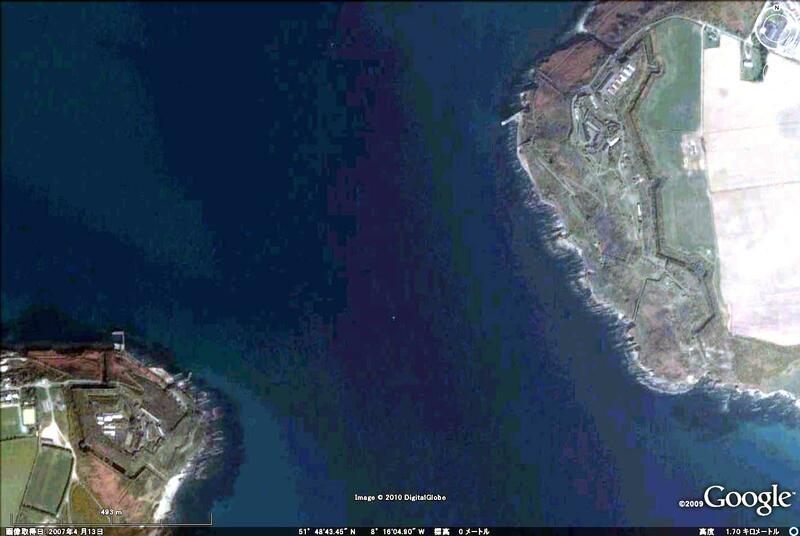 A satellite view of the fortified entrance to Cork Harbour. On the left (west) is Fort Camden – now a public amenity undergoing restoration. On the right (east) is Fort Davis, formerly Fort Carlisle, to which William Cosgrove delivered the meat ration before he enlisted in 1909. The harbour is at the top of the picture (north) and the open sea is at the bottom (south). Aghada and Whitegate villages are out of picture on the upper right. William Cosgrove died at Millbank Military Hospital on 14 July 1936. His body was brought home to Cork aboard the old SS Innisfallen on 17 July and he was interred Aghada that evening. Some three hundred members of the Munster Fusiliers Old Comrades Association formed a guard of honour as his body was taken from the ship and a large crowd attended the burial. It should be remembered that the nearby Fort Carlisle was still a British military post. 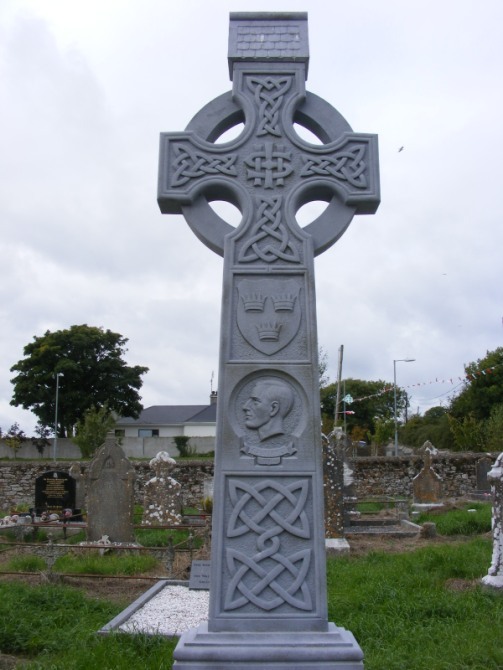 In 1938 a public appeal raised funds to allow a large Celtic cross to be erected over Cosgrove’s grave. William Cosgrove’s grave is marked by this large Celtic Cross erected in 1938. 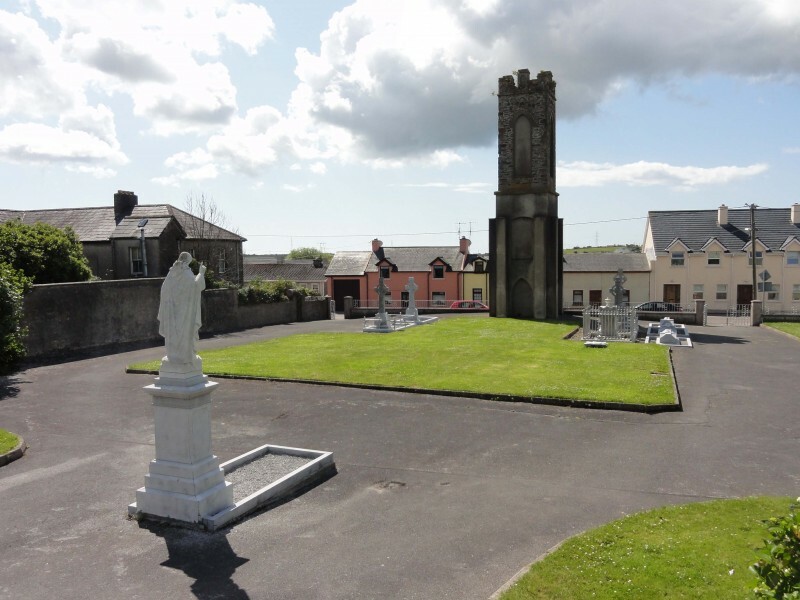 This Sunday (26th April), the little village of Aghada on the eastern shore of Cork Harbour will commemorate the centenary of William Cosgrove’s heroic action under fire at Gallipoli. There will be a special Memorial Mass in the local church and a special exhibition about William Cosgrove in the Community Hall. Not quite Anzac Day in East Cork…more like Gallipoli Day.